Join Suzanne for a 4 day, 3 night mountain retreat October 3 - October 6 2019 at Casa Om Potomac. Casa Om Potomac is tucked away within 63 private acres outside of Shepherdstown, West Virginia - less than 3 hours away from Richmond and just 90 miles away from DC. 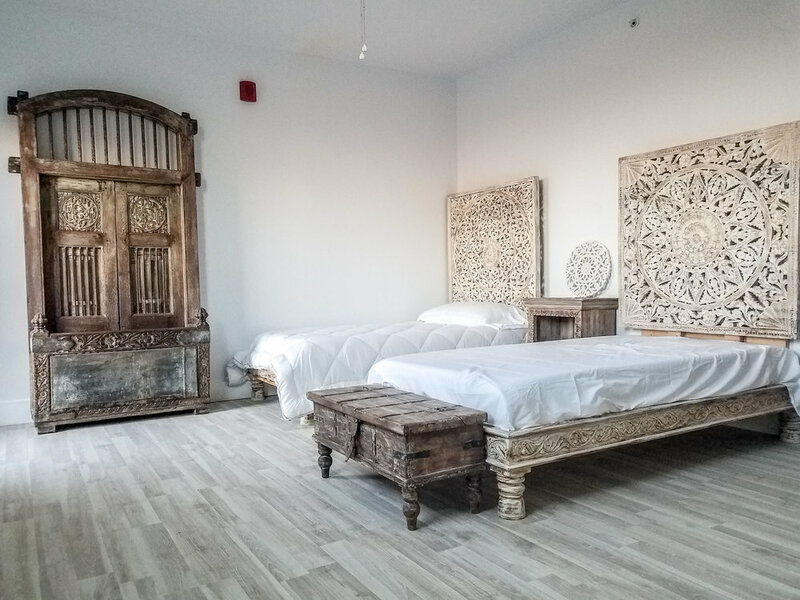 Your accommodations for the long weekend are in a newly renovated, riverfront property inclusive of a hot yoga room onsite, and modern amenities adorned with unique antiques collected from the Indian city of Jodhpur. During our stay we will explore Power and Restorative yoga practices, including a back bending and inversion workshop. Enjoy optional onsite massage, hiking, and storytelling around the fire. Your meals are included throughout your stay and are clean, high protein, vegetarian, healthy, and most importantly, delicious. This is an opportunity to dive deeper into your yoga practice, regardless of your experience, and leave feeling strong and rejuvenated.